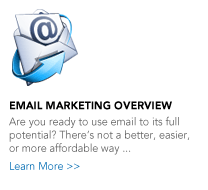 Are you ready to use email to its full potential? 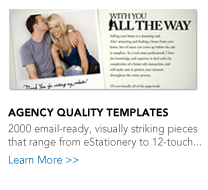 Not all email marketing services are the same. 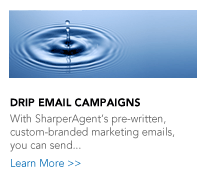 With SharperAgent, you’ll learn to harness the power of email and use it to your advantage. Don’t go out into the market place and look like just another spammer. Our extensive customer training and support materials will help you build an email communications plan that’s sure to produce results, not angry replies from consumers. 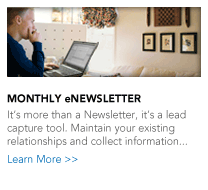 No matter what market you’re specializing in or what message you need, SharperAgent has the email marketing pieces you need to make a connection with today’s consumer. 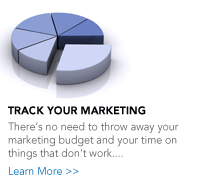 Our Marketing Materials library includes over 3,000 pieces to help you communicate on a consistent basis. For a complete look at SharperAgent’s extensive marketing materials library click here.